Ayomitunde Aderemi, T. (2019). Exchange Rate Volatility and Foreign Capital Inflows in Nigeria (1990-2016), Cointegration, DOLS and Granger Causality Approach. Management Studies and Economic Systems, 4(2), 161-170. Timothy Ayomitunde Aderemi. "Exchange Rate Volatility and Foreign Capital Inflows in Nigeria (1990-2016), Cointegration, DOLS and Granger Causality Approach". 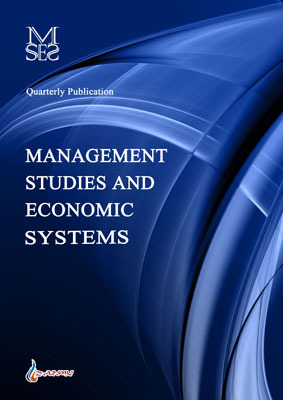 Management Studies and Economic Systems, 4, 2, 2019, 161-170. Ayomitunde Aderemi, T. (2019). 'Exchange Rate Volatility and Foreign Capital Inflows in Nigeria (1990-2016), Cointegration, DOLS and Granger Causality Approach', Management Studies and Economic Systems, 4(2), pp. 161-170. Ayomitunde Aderemi, T. Exchange Rate Volatility and Foreign Capital Inflows in Nigeria (1990-2016), Cointegration, DOLS and Granger Causality Approach. Management Studies and Economic Systems, 2019; 4(2): 161-170. The aim of this study is to examine the nexus between exchange rate volatility and foreign capital inflows in Nigeria. The results from the past empirical studies about this subject matter have been controversial, which has created a gap in the literature. The study extracted data from CBN Statistical Bulletin and UNCTAD investment report from 1990-2016. Consequently, the findings that emerged in this work shows that cointegration test confirms the existence of long run equilibrium relationship among the selected variables. Foreign direct investment has a significant negative relationship with exchange rate in Nigeria. Ditto for external debt, though not significant. However, remittances and exchange rate volatility have a non -significant positive relationship with each other in the country. In addition, due to the important findings that originated from this work, the study makes the following recommendations for the policy makers, investors, future researchers and the general public. The significant negative impact of foreign direct investment on exchange rate volatility calls for the attention of the appropriate authorities in the Central Bank of Nigeria to develop a sound policy with adequate capacity to stabilize the exchange rate so that value of the country`s currency could be competitive in the global economy.